I hope the beautiful sunshine finds you all today! We are expecting family this weekend and the boys couldn't be more excited. 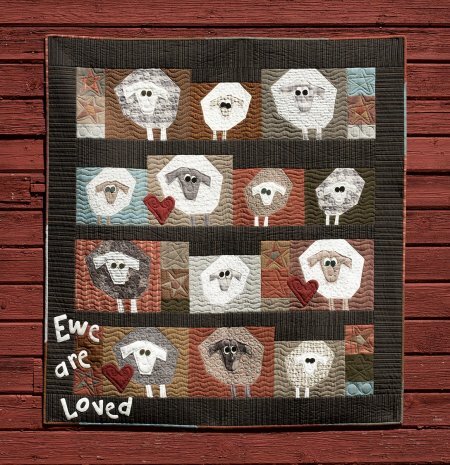 But once I am all ready for them I think I'll do some quilting until they arrive! We have some fabulous things happening around the store - check it out! Tomorrow is old bag day! Bring in those blue shop hop bags from last year to receive 20% off your entire purchase! Some exclusions do apply! 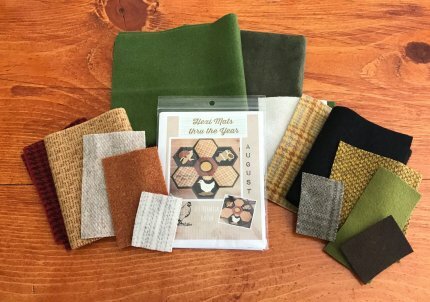 The August Hexi Mat thru the Year kits are ready! How darling is this harvest themed mat? Plus if you haven't made one of these - they go together super easy! 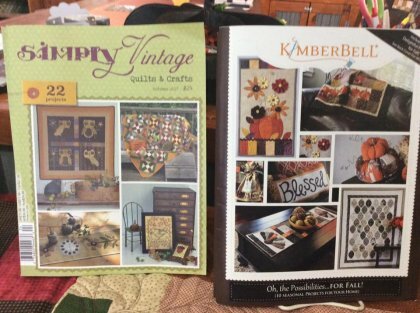 If you're looking for a fun project to make for Fall - check out the latest from Simply Vintage & this beautiful Kimberbell Fall themed book! Next week we will be featuring some beautiful Christmas themed tablerunners! It is time to start thinking about the Holidays and homemade gift making! Be sure to stop by and check out our selection of fabrics. 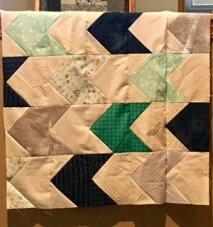 I'm half done with the baby quilt - I'm hoping she loves it! Here is a little sneak peek. Have a wonderful weekend and be sure to stop in for Old Bag Day! !